The 2018 Dodge Challenger Hellcat, in all of its wide-bodied glory, is more representative of pure muscle than any other Dodge Challenger trim level. The Dodge Challenger Hellcat is a step below the Challenger Demon, but the power under the hood is still ridiculous. 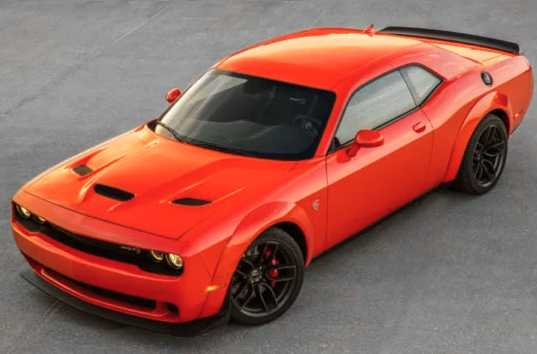 For the 2018 model year, the FCA has made the economically wise decision to offer a wider body for the Challenger SRT Hellcat, selected from the drag-special Dodge Demon, as an available option in the lineup. As previously mentioned, the 2018 Dodge Challenger SRT Hellcat Widebody Package borrows some characteristics from the powerful Dodge Challenger SRT Demon. The power under the hood is exceptional and not to be underestimated – especially when it’s equipped with a 6.2-liter supercharged V8 engine. The V8 supercharged engine can produce 707 horsepower and 650 lb-ft of torque. Consumers have a choice between a six-speed manual transmission or eight-speed automatic transmission, plus steering wheel-mounted paddle shifters. The paddle shifters can only be utilized if the car is in drive or manual mode. However, with the Hellcat in automatic, drivers can take their mind off of shifting gears and enjoy just how much the 2018 Hellcat Widebody kit improves its performance. It’s no secret that the power is undeniable, especially if the Hellcat Widebody is equipped with the 20-inch “Devil’s Rim” aluminum wheels and wrapped with the optional Pirelli P-Zero tires. Once warmed up, the Pirelli P-Zero tires deliver a reliable grip. The upside of such a powerful car is the traction control. Although, one should never drive beyond their limits, the improved traction control is added security for those looking to live on the edge a little bit. In comparison to last year’s model, the standard adaptive three-mode suspension, wider track and tires, and electric-assist steering allow for a more stable handling of the car. For those who don’t remember, the previous Hellcat had a good amount of body roll control, which could compromise those sharp corner turns. Fortunately, the 2018 Hellcat widebody package allows the driver to make corner turns confidently. With the help of the SRT performance pages, the driver can customize the suspension, transmission, traction control, and steering settings. Additionally, driver’s are also given the choice between two different key fobs and each produce different output settings. The red key fob produces 707 horsepower and the black key fob produces 500 horsepower. From a vintage muscle car to a high performance machine, one of the downsides of the Widebody package is parking – watch out for that curb when parallel parking! The 2018 Challenger Hellcat includes a number of interior convenience features like heated and cooled front seats, dual-zone climate control, and an 8.4-inch touchscreen display with Apple CarPlay/Google Android Auto capabilities, and 18-speaker Harman Kardon premium sound system. Fuel economy is slightly underwhelming, especially when consumers are looking at 13 mpg in the city, 22 mpg on the highway, and 16 mpg combined. With a starting MSRP of $63,795 (plus destination fee), the Widebody package will run consumers quite a pretty penny – an additional $6,000 to be exact. Also, the automatic transmission that includes remote start feature, adds $2,995. As a result, the final MSRP is $77,275 (plus a destination fee). Interested in taking the 2018 Dodge Challenger SRT Hellcat Widebody for a spin? 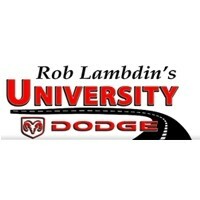 Stop by University Dodge located in Davie, FL or visit our website for more information on our entire new car inventory selection.